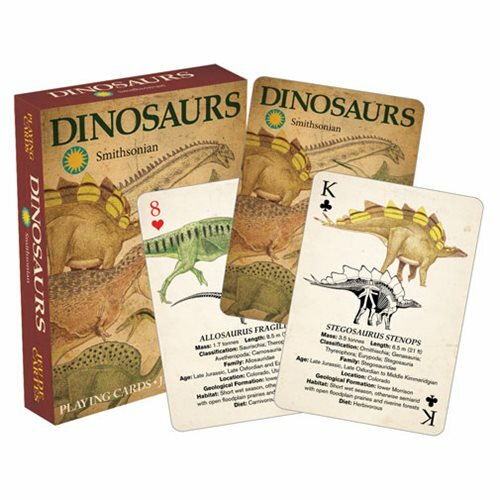 Dinosaur fans of all ages will enjoy this deck of playing cards featuring 52 different images straight from the vault of the Smithsonian museum. The cards measure 2 1/2 x 3 1/2 and have a linen type finish on them. Great for players and Dino fans alike. Ages 14 and up.